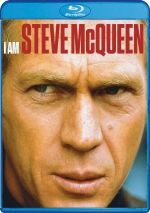 Combining extensive original interviews, including rare interviews with Steve McQueen himself, the best of Steve's major motion pictures and archival footage, the film chronicles McQueen’s extraordinary career while focusing on the correlation between his on-screen and off-screen experiences. For a look at a legendary actor, we go to 2014’s I Am Steve McQueen. Narrated by Robert Downey Jr., the documentary offers the usual mix of movie shots, archival footage and interviews. In the latter category, we hear from son Chad McQueen, film critic Ben Mankiewicz, car collector/designer Magnus Walker, granddaughter Molly McQueen, biographer Marshall Terrill, grandson Steven R. McQueen, former wife Neile Adams McQueen, directors Bruce Brown and Norman Jewison, martial arts instructor/stunt performer Pat E. Johnson, collector/racer Bruce Meyer, friend Ed Salven, assistant director/motorbike endurance racer Clifford C. Coleman, producers Katy Haber and Mario Iscovich, widow Barbara Minty McQueen, flight instructor Pete Mason, and actors Pierce Brosnan, Gary Oldman, Ali MacGraw, Marissa Miller, Randy Couture, John Gilmore, Robert Vaughn and Zoe Bell. The documentary looks at McQueen’s early life and family issues. We follow his path to the military and how this led him toward acting. We see McQueen go to NYC to train as an actor and then trace both his career and personal life up until his death in 1980 at the age of 50. Given the heavy involvement of so many McQueen family members, one might expect the documentary to avoid much of a “dark side”. Programs like this tend to paint a perky, happy view of the subject and don’t give us much more than that. I can accept that approach to certain actors, as some folks just don’t have a lot of “darkness” to explore. For instance, a documentary about Vincent Price lacked much drama because it appears the actor went through a pretty happy existence without scandal. The same can’t be said for McQueen, a man with plenty of demons, but you won’t get much more than an occasional nod to those issues here. While we find a few comments about McQueen’s temper and whatnot – like an ex-wife’s statement that she could be afraid of him – mostly the documentary tells us that McQueen was cool and that he lived on the edge. That pretty much sums up the project. Any genuine insights seem to be largely incidental, and they exist mainly to accentuate the primary premise of McQueen’s alpha male presence and existence. We hear many notes about how charismatic and stunning McQueen was but not much that gives us actual insight into the man. When the documentary works best, it comes from first-person notes of those who knew him. Remarks from his grandchildren – born after his death – and actors like Pierce and Oldman are all well and good, but they do little more than reinforce the “McQueen was awesome” thread. Statements from folks like Jewison and MacGraw manage to deliver moderate insight, though. They can shed some light on McQueen’s strengths and weaknesses and almost paint him as a real person. Almost. Those moments quickly evaporate and we go right back to “McQueen was the coolest guy ever” again. We hear an awful lot about his passions – primarily racing – but rarely get a feeling for what made him tick. This is a shame, as the focus on McQueen’s “coolness” and his interests only tells us part of the story. Despite occasional threats to turn three-dimensional, I Am Steve McQueen never gets there. It winds up as a mediocre puff piece too much of the time and becomes a big disappointment. 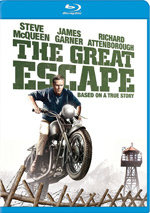 I Am Steve McQueen appears in an aspect ratio of approximately 1.78:1 on this Blu-ray Disc. Given the nature of the production, the picture quality seemed pretty positive. I didn’t factor the archival material not shot explicitly for McQueen into my grade. Those elements demonstrated a mix of flaws, but it didn’t seem fair to criticize the disc for problems that seem inevitable with that kind of stuff. Given the film’s focus, I expected little from the DTS-HD MA Stereo soundtrack of McQueen and I found it to provide a mildly involving effort. Of course, dialogue remained the focus, as the majority of the film’s information came from interviews or other conversational bits. Music showed good stereo spread, and a few effects like cars appeared on the sides, but this was mostly a centered track without much ambition. Audio quality seemed fine. Speech was consistently crisp and concise, with no issues connected to edginess or intelligibility. Music and effects remained background elements to a substantial degree, but they seemed well-reproduced and clear. Ultimately, the audio of McQueen suited the film. A featurette called McQueen’s Garage runs 15 minutes, 50 seconds and offers comments from grandson Steven R. McQueen, producer Mario Iscovich, son Chad McQueen, collector/racer Bruce Meyer, car collector/designer Magnus Walker, martial arts instructor/stunt performer Pat E. Johnson, former wife Neile Adams McQueen, flight instructor Pete Mason, widow Barbara Minty McQueen, director/motorbike endurance racer Clifford C. Coleman, and actors Ali MacGraw and Zoe Bell. “Garage” discusses McQueen’s love of racing and his favorite cars and motorcycles. We already learn a lot about this subject in the main movie, so “Garage” feels somewhat redundant. In addition to the film’s trailer, we get a piece entitled Yucatan. It fills four minutes, 48 seconds and includes notes from Chad McQueen. We see planning materials for a Steve McQueen effort that would’ve been called Yucatan in this reasonably interesting view of an abandoned project. While a few interesting insights emerge during I Am Steve McQueen, not much depth emerges. Too much of the show remains awfully thin and superficial, as it doesn't paint more than a one-dimensional view of its subject. The Blu-ray offers good picture, decent audio and some minor bonus materials. This winds up as a forgettable, puffy documentary.